Subscribe to Box of Happies for handmade happies delivered monthly! Monthly Grab Bags! 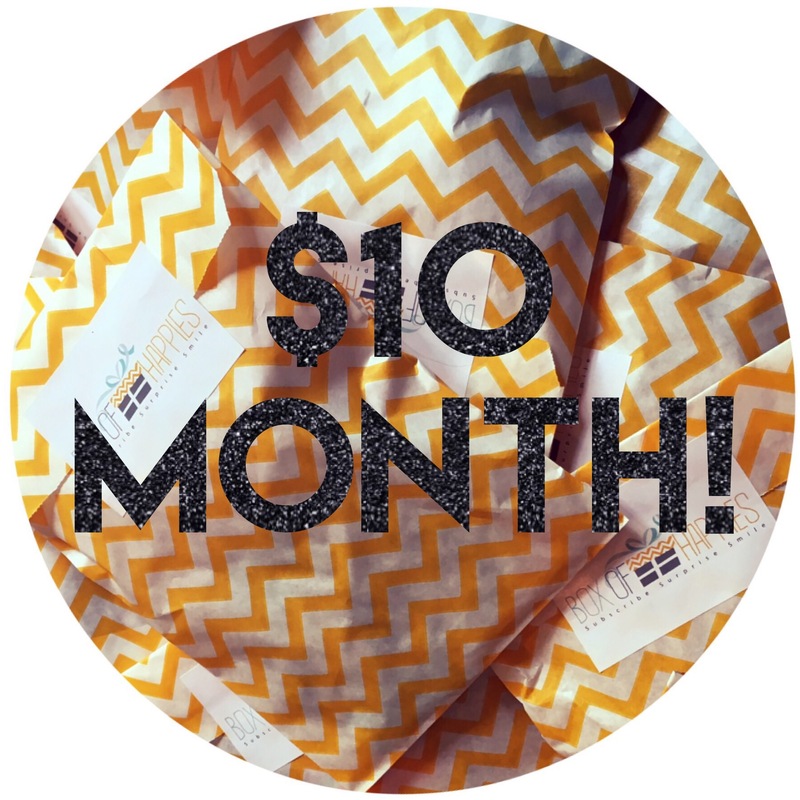 Each month, you can expect to receive a happy little grab bag designed to put a smile on your face with handmade surprises from talented artists and unique indie shops: jewelry, accessories, candles, soaps, home decor, stationary, bath & body & more! Treat yourself to a little happiness each month, or give as a gift to delight your friends and family! Subscribe Surprise Smile! It's time to get HAPPIES! 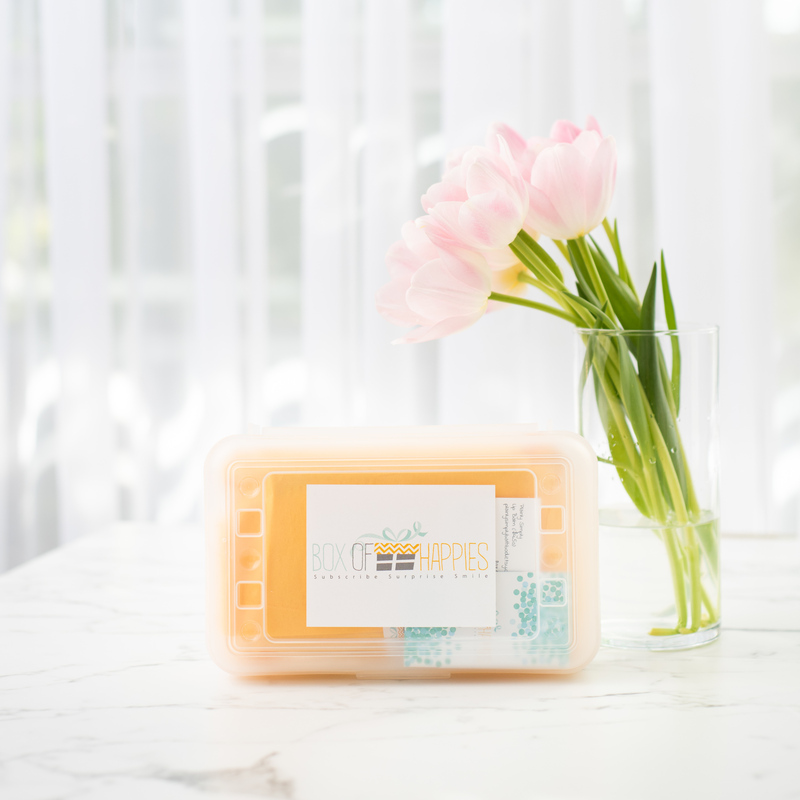 Guaranteed to put a smile on your face, each Box of Happies is curated in a reusable plastic craft box and is filled to the brim with 4 to 6 unique handmade surprises: candles, soap, jewelry, accessories, home decor, stationary, handmade happies galore! Treat yourself to a little happiness each month, or give as a gift to delight your friends and family! Subscribe Surprise Smile! Use coupon code HAPPIES to receive a FREE handmade necklace with your first order!